Chicago, IL, February 13, 2018 --(PR.com)-- Steadfast, a 20-year-old IT infrastructure company, just launched Simplicity Clouds to simplify cloud technologies for everyone from startups to enterprise-level companies. Steadfast Simplicity Clouds allow businesses of all sizes to move their technology to cloud solutions without staffing up, without spending a fortune, and without gaining any cloud expertise. The Steadfast Simplicity Clouds are designed for better control of costs compared to similar industry vendor cloud offerings. Bundled, transparent pricing avoids surprise and hidden costs for services such as increased bandwidth that customers often face when using extra-large corporate cloud companies. 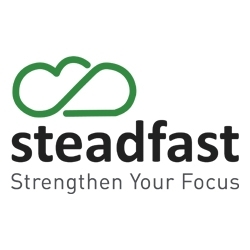 Steadfast allows customers to be the boss of their cloud by giving easy, fast access to expert cloud support - all data centers are staffed 24/7/365 with experienced, onsite technicians who answer support calls. Steadfast takes pride in providing exceptionally reliable managed services with unparalleled support that includes a support response SLA of 30 minutes or less (average of 7.4 minutes), for all customers without exception - compared to other vendors who charge extra for up to a 12-hour response time window. Cloud engineers are ready to offer free consultation and design service calls within 24 business hours, and Steadfast’s support consultation is included to all Steadfast customers without exception and at no extra charge. To learn more or book a cloud consultation with Steadfast experts, visit www.steadfast.net/cloud-hosting. Steadfast specializes in flexible cloud environments, infrastructure hosting, and a full suite of reliable managed services and security. Complemented by expert consultation at all stages of design and deployment to maintenance and expansion planning, Steadfast delivers high-quality, cost-effective IT infrastructure solutions, personalized to customer needs.